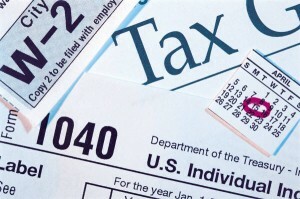 For families who are not paying their household employees correctly, the IRS is giving you a chance to make it right! For years now, we have gone to great lengths explaining to families that nannies are household employees (W-2), not independent contractors (1099 form). To protect you, your family, and your nanny from making costly tax mistakes, we refer all household employers to Breedlove & Associates in order to get the most accurate information. Not every employer has had the correct information, however, and many have misunderstood the tax codes. For that reason, the IRS is giving families an opportunity to have “nanny tax amnesty” ( see article from the Wall Street Journal) with a proposal called the Voluntary Classification Settlement Program (VCSP). The nanny tax amnesty will allow families who incorrectly filed their nannies as independent contractors, to reclassify them as employees. Under the VCSP, families can correctly issue W2 forms to their household employee without interest and penalties. Families have until June 30, 2013 to reclassify employees (see the Breedlove blog about the VCSP). Following this deadline, the IRS is expected to increase efforts to collect mishandled and undercollected taxes, as the employer is required to withhold Social Security and Medicare taxes if a worker is paid $1,800 or more (for 2013).